Long maintenance-free life and the better resistance of concrete to fuel spillage. Concrete Slabtrack gives reduced maintenance and higher speeds. Lower loading and safer operating conditions. Concrete guide rail and bus routes reduce traffic congestion and reduce emissions. The growing use of brownfield sites and the focus on sustainability issues bring increasing recognition of the benefits of soil stabilisation. Britpave, the British Cementitious Paving Association, is the industry focal point for the development and promotion concrete and insitu-cementitious infrastructure solutions. Britpave is active in the development of solutions and best practice for roads, rail, guided bus lanes, light rail, airfields, ports and soil stabilisation. Britpave has an ongoing programme of developing and publishing a resource centre of industry and technical guidance. The Association works closely with national and European standards and regulatory bodies, clients and associated industry associations. Britpave is able to examine and develop the bigger picture and, through its task groups, to focus on specific infrastructure sectors. The broad Britpave membership includes contractors, engineers, material and plant suppliers, academics and clients and encourages the exchange of pan-industry expertise and experience. 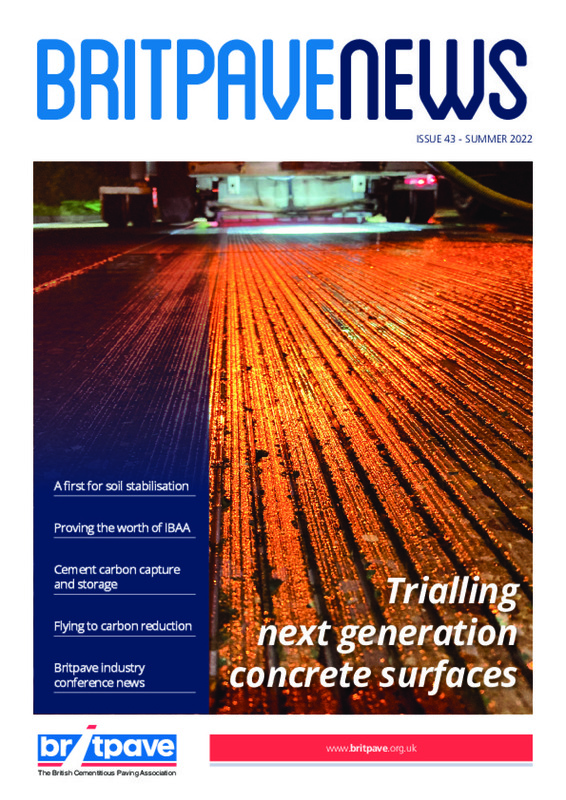 A wide range of Britpave industry events and publications raises the profile of the benefits of concrete and insitu cementitious infrastructure solutions. Click on newsletter to download the latest issue. Examining infrastructure issues. Forwarding infrastructure solutions.